We are a family firm which has been covering Derbyshire & Nottinghamshire since 1991. The main services we offer are: Damp proofing, Re-plastering, Condensation Control, Tanking (Waterproofing), Woodworm Treatments and Fungal Decay Treatments. We are also able to offer Damp & Timber Reports. The survey and report is undertaken by our qualified surveyor who is a Certificated Surveyor in Remedial Treatments (CSRT). Our whole house survey and reports start from £95.00 +VAT. We are able to offer guarantee protection insurance (GPI) on top of our standard company guarantees. GPI is an FSA approved and regulated insurance policy, to give you peace of mind. We are also full members of the Property Care Association (PCA). Formerly part of the BWPDA (British Wood Preserving and Damp-proofing Association), the PCA is the trade body for the structural and basement waterproofing, wood preservation, damp proofing, wall tie replacement and structural maintenance industries in the UK. Through our membership of the PCA we are also registered for TrustMark, which is a government endorsed standards to help people find reputable firms to undertake repairs, maintenance and improvement work in the home. We were impressed by the comments on Trusted Trader re this company so went ahead to get a quote. They came to access the job when they said they would and gave a quote quickly too. We arranged for them to come to do the damp proof work for us and they came on the day they said that they would. A few days before they came we realised that additional work was required and they kindly accommodated that work at the same time. Both men were very polite and good to have around the house. Excellent work - finished walls were good and cleaned up well. Gave me good advice and relevant information. Very courteous and friendly. Would highly recommend. On time, tidy and courteous. Satisfied with all work done. Cleaned up well after. Job finished, would recommend. A hard working team. Arrived promptly in the mornings. Dusty work but they made every effort to minimise disruption and tidied up well at the end of each day. They were very pleasant, informative and polite. Did a very good job and cleaned up thoroughly after themselves. Would recommend, a very good service provided. Job very professionally done with the minimum of disruption. Very good job & extremely satisfied with the work completed. Very professional and polite. Arrived on time and worked quickly and efficiently. Work finished to a very high standard. Happy to use again and recommend. Chris and David were punctual, friendly and hard working. Very satisfied with job done and care taken with protecting surrounding area before commencing work. Would recommend and use again. Very good communication prior to work. The team are clearly very knowledgeable and have experience needed to be flexible to our needs. Overall, very pleased with the service provided. Very clean, efficient & pleasant team. Thanks to Paul, Chris, David and Julie for their excellent and friendly service. Very good clean workers, very pleased with the work. We had a fantastic experience using C K Walker who professionally and competently dealt with a condensation issue in our bungalow. A MEV extraction system was installed with excellent results. A massive thank you to Paul and the team. Highly recommended. Very helpful and polite Explained what needed to be done. I always look for Trusted Trader symbol on any advertising. I always try to use local people for any work I need done. The company was first class and I would recommend them. Used them because they were on your website. Seemed very honest, did the work properly and tidied up after themselves. Overall, very pleased! Very clean - good workmanship. I would use them again. A knowledgeable and professional company who turned up on time, delivered the work as promised and were amicable to last minute additions. First employed this company in 1996. They still had our details, and were very helpful in sorting the problem. Excellent family firm, sorted appointments really quickly, Paul the surveyor was very thorough & professional and he went through every detail of the report with me. They arrived on time and did an excellent job, at a fair price. I would recommend this firm to anyone. 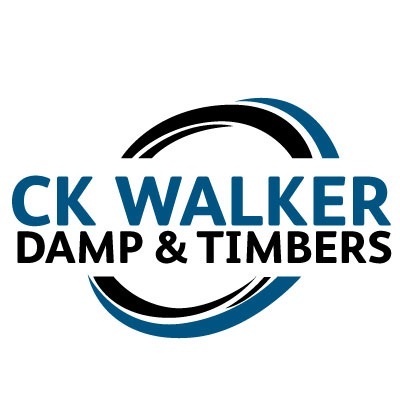 The C K Walker staff were prompt, polite and did an excellent job taking into account the particular needs of the situation. Very happy with the service we received, friendly & professional! Very friendly. Very efficient. Excellent communication & kept informed. I was entirely satisfied with the work done. The four men worked extremely well as a team & were considerate & helpful to me. No reservation in recommending the company. Knowledgeable, punctual, reliable. I would use them again, and recommend to friends and family. Very efficient, clean and professional job. Thanks very much. Chris could not have been more helpful & courteous. The work done was to an excellent standard and they always cleaned up after the work was done each day. They were prompt and on time each day, and all debris was taken away. Lovely men, very polite and cleaned up after doing job. Would recommend them to anyone. Thanks. Very efficient, listened to my problem and rectified quickly with no problems. Found the workmen very clean and tidy, got on with job and felt I could just leave them to it. Very satisfied. Good advice and inspection when giving quote. Punctual, polite, helpful work. An excellent job. Came on time and worked very quickly. Friendly & helpful. Tidied up well. I used C K Walker to treat rising damp in my cottage. I found the company extremely easy to deal with and was informed of both the work to be undertaken and timescale to do the work. They arrived on the date arranged and conducted the installation within the agreed timescale. They were flexible and professional at all times. I asked them to do additional plastering work and they were more than happy to assist at a very reasonable rate. First class company whom I would have no hesitation in recommending. Excellent, very thorough work. Work done to plan and timescale. Quality work, very neat and tidy. Highly recommended. Very professional team of guys who work extremely hard and tackle any problems and find solutions, offered advice on these. Would highly recommend using them they do a thorough job. Great value for money. Will always arrive on time and clean up the mess. First class service! Very professional people, prompt time keepers, always cleared up after themselves. Would use them again. Quality work, very tidy, nice people. A very good job done. Very pleased with standard of work. No mess, they cleaned up after each days work. Very reliable. Would recommend these people. Thank you for the extra advice. Completed a good job. Very professional. A good service. Excellent work, good, high professional standard of work completed. Arrived as arranged, length of job was as discussed & tidied up afterwards. Very friendly. A pleasure to have working for us. Came on time. Clean hard working team. Very pleased with the results would readily recommend to anyone.